The choice between MUCH and MANY depends on the noun it is describing. How much cheese is left? I haven’t got much change. Don’t spend too much time on the internet! How much farther to walk? How much homework must I do? There is much concern about drug addiction in the US. How much milk is in the bottle? Is there much unemployment in that area? They get too much trouble! You put too much sugar in the coffee! How many balls can you carry? Many children get good marks in this semester. How many blades of grass are there? How many pieces of cake did you eat? How many planks of wood are there? 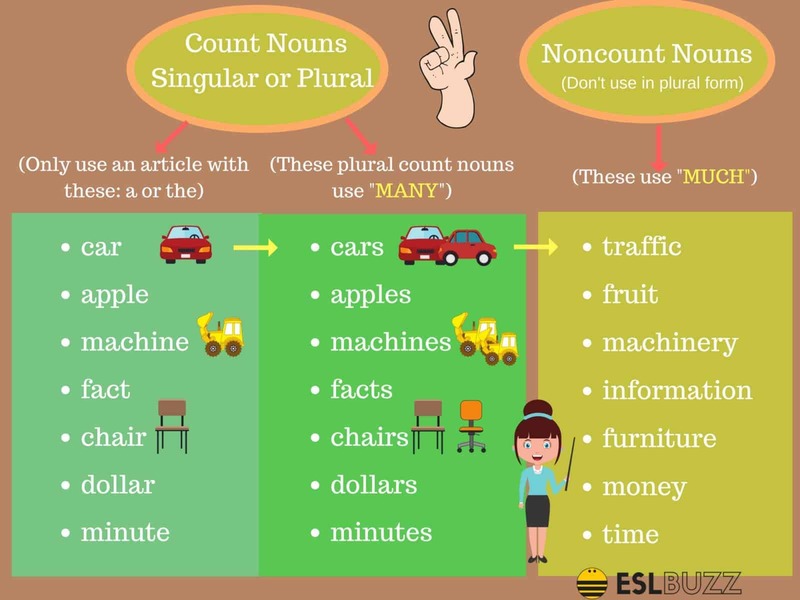 I believe it is more appropriate to say that ‘much’ goes with non-count nouns; this eliminates a potentially incorrect use of a singular count-noun with ‘much’. Thanks for this entiresting subject..